I used to know Carrigleitrim as Ballynatona in years gone by, but I rather like the name now favoured by MountainViews. Given the many granite boulders that lie strewn around this hill, the possible “grey ridge” etymology would be neatly descriptive. I suggest starting from the little car park at O 043 108 C, above Lacken. 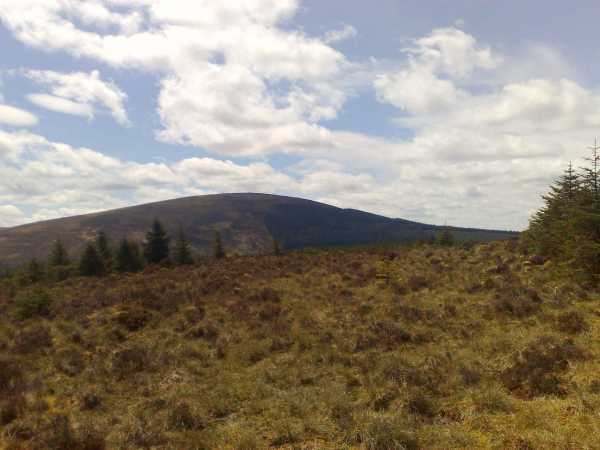 Head north over Sorrel Hill and drop down to the shoulder between it and Carrigleitrim at O 044 129 D. Some years ago, there was a muddy track through this forest intersection that led straight to the summit, but you now have to circumnavigate a Maginot Line of straggly pines, water-filled trenches and barbed wire. Getting around that and crossing the fence to your left, you are finally standing on an open hillside, mercifully free of forestation. 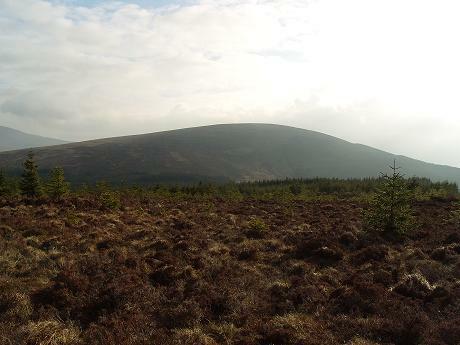 There is an excellent view back towards the long-drawn-out hump of Lugnagun and the little dome of Woodend Hill, with the snaking Pollaphuca coiled around its feet. At the top of the slight incline, the way is blocked by a wall of forest, but if you cross back over the fence to the right you have a splendid view of the Liffey Valley to the east, from the Sand Pits to Coronation Plantation, with a few silvery meanders of the Liffey thrown in for good measure. 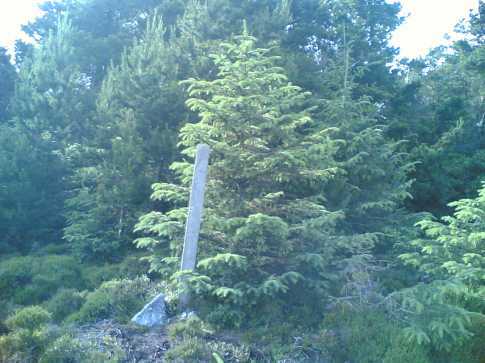 The summit – a rather pretentious word here – is marked by a post at O 0478 1398 B. Surprisingly, there seems to be no vestige of our megalithic past on this hill, even though it is overshadowed by nearby Sorrel and Seefin. Picture from march-fixer : View of Sorrel from the summit marker post with forest edge to right. 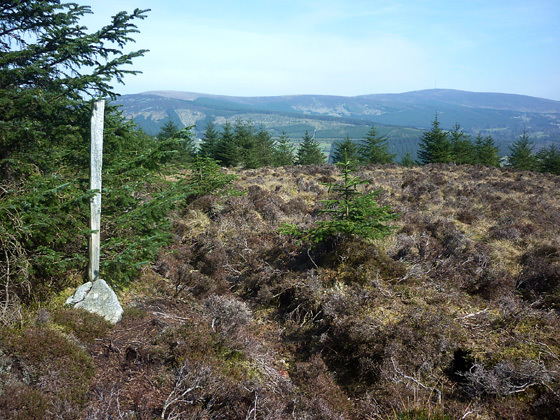 Picture: View of Sorrel from the summit marker post with forest edge to right. A nice hidden summit. I had visited Sorrel Hill many times and driven the road close by Carrigleitrim without ever realising its existence. Though the area is known locally as Ballynatona, I agree with others that Carrigleitrim is a fitting name. For a nice sheltered quick walk this summit is ideal. 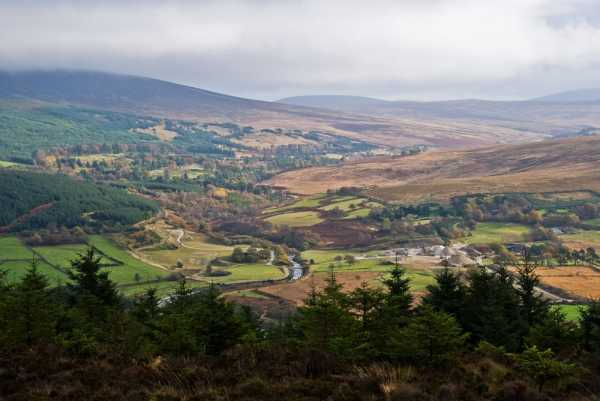 The start can be approached via Ballysmuttan Bridge (soon to be renamed) off the Manor Kilbride / Wicklow Gap road or from the Blessington and Oldcourt direction. There is handy parking available at O045 147 A the entrance to the wood. As it is a mature wood, you can head straight up towards the summit along the numerous old tracks left during tree extraction. It can be a bit soft going in places with scattered branches, so watch your footing.